Broadcast technology is increasingly being used inside and outside of the classroom to help students learn and connect with the larger community. Video, including live production, is used to broadcast student sports, news, and other activities, along with community events both on and off campus. Are you reaching your full academic potential? Hear from remote teachers and alumni round the globe. Open up distance learning options for students. 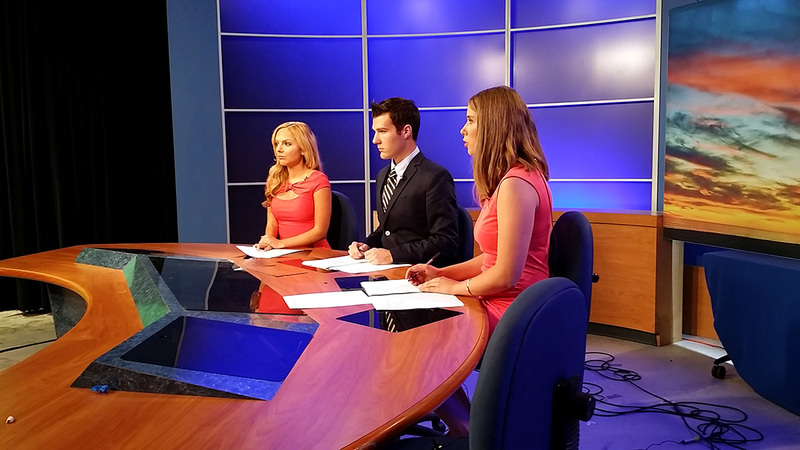 Give students the opportunity to learn and use broadcast technology for media communications. Share important campus announcements and other news in real-time with students, parents, and other stakeholders. Be prepared to deliver critical information immediately with professional equipment quickly and easily. Deliver relevant information live and on-demand with one easy-to-use platform that supports screens of all sizes and social media message amplification. Broadcast school athletic and other events to the larger community. Realize professional grade campus productions including sports, opening up larger and potentially new funding streams that can be reinvested back into school programs. With Inception, Pepperdine is now using one common platform and one interface, and they can fully manage all newscasts and other social media content aggregation from approval to publication. · Reach local and remote speakers including satellite campuses easily and effectively. · Bring in remote guest speakers from across the globe. Get expert broadcasts without having to be broadcast experts. Start broadcasting school productions after only 30 minutes of training – no detailed knowledge of production switching or character generation required. Display and update pertinent event information in real-time. Leverage Ross XPression for global template changes. Get centralized device control of robotic cameras, microphone systems, and graphics. Implement an integrated solution from one vendor. Access Ross’ award-winning 24/7/365 customer support.